Enough about China, let’s talk about us. Turns out Canadians thirst for credit far exceeds what our traditional banks can offer. This has resulted in a massive shadow banking sector, that’s more than half the size of our traditional banking sector. While it’s being monitored by the Bank of Canada (BoC), there’s not a lot they can, or want to do about it. Shadow banking has transformed into a modern part of finance, even though it amplifies economic shock factors. Shadow banking is system of financial intermediaries (a.k.a. middlemen), that help ensure the demand for credit is fulfilled. They’re kind of like banks, without that whole regulatory oversight. According to the BoC, Canadian shadow bankers primarily engage in certain types of investment funds, repurchase agreements, mortgage and consumer finance, private-label securitization, and investment deals not owned by traditional banks. Covering that much ground, it’s not surprising that they often have strong relationships with large banks. Despite the close relationship, shadow banks and regular banks aren’t really bros. BoC explains in their annual report that they have the “potential to increase financial sector vulnerabilities, since the sector is not prudentially regulated.” When things started to go sideways during the Great Recession, a significant amount of blame was placed on US shadow bankers. While BoC researchers caution there are “significant gaps” in data and knowledge, what they could find was massive. They estimated that the industry has liabilities of $1.1 trillion dollars, just a little more than half of the $2.1 trillion in liabilities Canadian banks have. It’s also going to get a lot bigger soon, as BoC researchers noted further regulation of traditional banks will “lead to migration of activity from the traditional banking sector to the shadow.” China gets a lot of heat for its shadow banking sector, but Canada’s number is almost 5x larger per capita. With ‘cooling measures’ on the horizon for Canada, that number is about to get a hell of a lot larger. China gets a lot of heat for its shadow banking sector, but Canada’s number is almost 5x larger per capita. As big as the number for shadow banks is, it’s actually a little low due to the way the BoC compiled their estimates. Mortgage finance companies (MFCs), mortgage lenders that underwrite and service 12% of residential mortgages ($165 billion) as of 2015, only accounted for $10 billion of the estimate. Since MFCs sell the mortgages to third parties such as banks, or fund them with government-backed securitizations, only the amount being warehoused prior to sale or securitization was included in the estimate. So there’s little need to worry about the loans, since they’re now at regular banks or the government is responsible for them. Cool. Sure, shadow banks keep banks competitive, and provide forms of finance innovation regulated banks don’t have the freedom to do – but there’s also risks. While the BoC maintains that we’re “not at immediate risk,” they also go on to say there is one thing we should watch out for. Remember that whole sticky housing situation in the US that caused the great recession? Well, it’s been pretty well researched now, and the Federal Reserve Board published a few of their findings. While the report is dry if you’re not a finance nerd, the takeaway is shadow banking is fine when it works – and is even a good thing sometimes. However, they “amplify” external negative shocks, like oh, I don’t know…a housing correction. They also found that during a recession, substantial shadow banking can cause slower recoveries, and are vulnerable to runs. A run is bankster for when markets decline, and people scramble to withdraw their money. This results in lenders liquidating assets in a firesale, which reduces asset prices further. It’s a perfect storm that happens with very little warning. 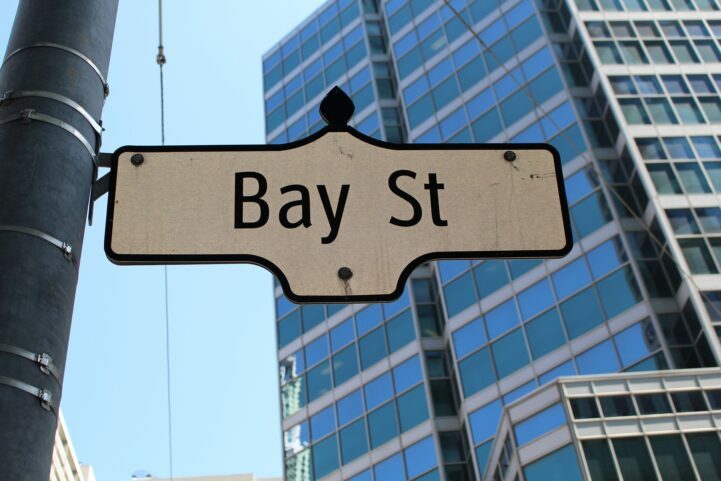 Canada’s shocking dependence on shadow banking brings up some interesting questions. Are traditional lending rules too tough for the average family? Have Canadians become so greedy they need loans in excess of typical qualifications? Or have stagnated wages forced Canadians to borrow the difference to make a living? Leave your comments below. Canadians prefer to talk about other country’s problems. How many times have I read Canadian coverage of China’s banks? About once a week. How many time have I read about our shadow banking sector? This is the first. That’s why we discuss Syria and refugees so often. We’re like poor refuges…many that actually had a better life in Syria than here. ” government is responsible for them” great! That means taxpayers are on the hook for loans handled by an unregulated industry. Everything is awesome! Plus the name makes it extra scary..”shadow banking”. Very scary. I’m looking forward to the emergence of “zombie banking”, then perhaps “nihilist banking”. But seriously, we are in a debt fueled asset bubble of which real estate price appreciation is but one symptom. Real asset growth requires population and GDP growth, independent of the speculative growth in asset valuations. None of which currently exists in Canada. Houses are (should be) accomadation. Stop. It’s a debt bubble, on top of our official debt bubble. The only increasingly worrying thing is how well do these intermediaries actually vet the loans they make? It doesn’t really matter to them, since they’re going to pass the risk on to taxpayers. Can’t believe we’ve let Canada turn into an exact replica of the US during the crash. Shadow banks are taking over, people are BSing to get debt they think is a right, and everything thinks it’s going to end well. What the heck is going up in Canada? LOL. I thought you wanted to be nothing like the US, not us on a ten year delay. People have an obsession with housing, and why not? Prices have only gone up for 15 years while wages stay stagnant. People see neighbours, seniors getting rich and think they can get on the train too. At any cost, no matter how much debt they have to shovel on. I fear for this country. 15 years? Try from 1996 which is 21 years on a nominal basis. I am surprised there was no mention of Home Capital in this article. They are Canada’s largest subprime lender and they are headed towards bankruptcy over falsifying income and mortgage fraud. Canadian businesses, households, and governments (all levels) are sure piling up the debt. Its not surprising – Canadians are more taxed by their government than the US, their wages haven’t increased at all during this frenzied housing appreciation, and they need the low interest rates to keep livin’ the dream and keeping up with the Joneses. So between taxation, new restrictive mortgage ‘stress tests’, a volatile stock market, and low wages, Canadians are grasping at the housing market to make their financial life mean something. And then add the increase in foreign buyers and wealthy immigrants (not subject to Canadian taxation, low wages, etc, who are not playing by the same rules) and you have some major barriers. Of course they’re gonna look for alternatives. And the Canadian government is in on it cause they insure all the mortgages for $. So why pull the plug on this ponzi scheme. Sick numbers Kaitlin, keep up the good work! Integration between corporate/individual tax authority and bank regulators with specific policies can keep a check on shadow banking. This will also help at time of market crash.